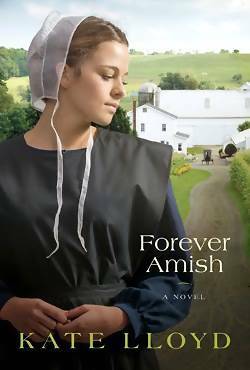 About the book: The latest book in the Legacy of Lancaster trilogy, Forever Amish introduces us to a young woman about to uncover a shocking secret and find an invitation to a new way of living. This is a story of forgiveness, legacies, and the ties that bind through generations. It's the Last Thing She Expects to Find Sally Bingham needs some time away to sort through the changes in her life and to rethink her upcoming marriage. Despite her ailing father's hesitations, she takes off for a bed and breakfast in Lancaster County for a weekend away. But her best-laid plans leave her in a near collision with a bishop's buggy and in the home of a mysterious Amish woman named Lizzie. Lizzie introduces her to a different perspective on life, a charming farmhand named Armin--- and opens a Pandora's box that will forever change Sally's life. I love reading about the Amish and Kate Lloyd really kept me wanting more in this book. Sally really needed to get away,and this time against her father and fiancee's approval she decides to take off to go meet Lizzie. After all,she has been emailing with her for some time now. She ends up meeting her when she is looking for a place to stay after her plans are ruined at the Bed and Breakfast. This book takes you on the journey of Sally as she stays with the Amish and learns many things about her past.I loved how it felt like you were at the Amish house right with her. This is a great book to read about love and forgiveness.You will enjoy it from the first page. Kate Lloyd is a passionate observer of human relationships. A native of Baltimore, Kate spends time with family and friends in Lancaster County, PA, the inspiration for her novels. 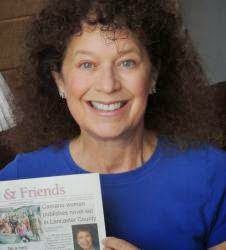 She is a member of the Lancaster County Mennonite Historical Society. Kate and her husband live in the Pacific Northwest. Kate studied painting and sculpture in college. She's worked a variety of jobs, including car salesman and restaurateur. Kate can be found at: website, Facebook, Twitter, and Pinterest.